Are You Sure You’re Applying Your Foundation Right? Whoever said you can’t put a price on beauty has clearly never stepped into Sephora before. With just one glance at your makeup bag or vanity table, how much do you think your entire makeup collection cost you? Maybe less than a hundred dollars if you’re into affordable drugstore makeup or maybe more if you prefer high-end brands and limited edition products. According to Money, an average woman will spend about $43 on a makeup-shopping trip. 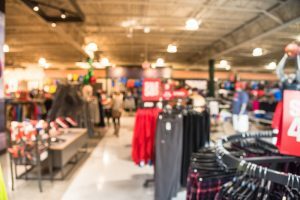 It may not seem like a lot for some of you whose high-end lipsticks already cost $32, but accumulating all these costs, a woman may spend around $15,000 on beauty products throughout her life. That’s a lot of money just to hide your blemishes and look good for one day. So if you’re like me and you don’t want to waste your money on your latest makeup haul, you want to make the most out of each squeeze of the bottle or swipe of your lipstick. Sometimes, however, you might be guilty of wearing more product than necessary. One product I’ve seen a lot of women guilty of this is the amount of foundation they wear. I know there’s such a thing as a full-face makeup, but there are just some people who can’t get their foundation right and they end up looking cakey or they end up feeling like they have an oily and heavy face throughout the day. If you’re unsure about whether or not you’re putting your makeup on the right way, read on to find out everything you need to know about applying foundation to achieve a good look worth your money. As its name goes, foundation is the base of almost every good makeup look. It creates an even-colored face to hide your flaws or change your skin tone. The result is a blank canvas where you can add more cosmetics to complement your face. However, there really are some things foundation cannot fix on its own. It can hide your pores, but it won’t stick for long if your face is already coated with oils. To solve that, you will need proper skin care. Before application, always start with skin care. Cleanse your face to clear out your pores; if you trap any dirt in your pores by applying layers of foundation over it, you could develop pimples or breakouts. If you have dry skin and feel like matte foundation gives you this flaky appearance, it’s probably due to the lack of moisture. Hydrate your skin with a thin layer of moisturizer before application. Make sure your moisturizer is appropriate for your skin type (i.e. oily, normal, dry, sensitive, or a combination). 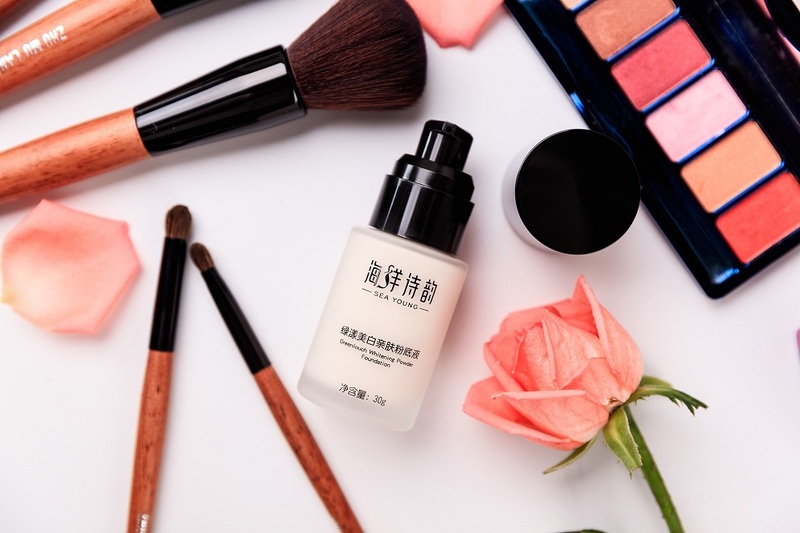 If you want to achieve a natural look but feel like you need a lot of foundation to hide large pores, fine lines, and wrinkles, apply primer before putting on less foundation. Your primer product should even out holes and spots on your face. Apply a special eyelid primer if you want to avoid creasing your eye makeup. It will also help your makeup stay put for longer, especially when you’re in extreme weathers that could smudge your makeup. Give it time to dry before getting started on foundation. Many women end up wasting money because they buy foundations that don’t match their skin color. If you find that you have to blend your foundation down to your neck and chest just so the foundation on your face doesn’t look off with the skin tone on your chest, then you might be using the wrong color. What I love about Rihanna’s Fenty Beauty’s Pro Filt’R foundation is that it had 40 shades that were inclusive from the lightest to the darkest of skin tones. With that many options, most people were bound to find a shade that matched them somewhere in that range. However, we can’t expect the same for brands that offer foundation collections with less than 20 shades. You might remember the Tarte Shape Tape debacle back in early 2018. Tarte Cosmetics’ latest foundation came with 15 shades: 13 shades that, even for me, looked all very similar and could only fit light and fair-skinned people, and then two shades for people of color. 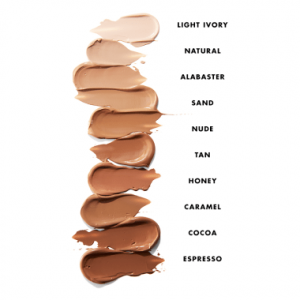 So if you’re shopping for foundations, you may find that not all brands may have your color. Don’t settle for one brand and then force yourself to buy the shade closest to yours. If you go through various foundation products, you’re bound to find one that perfectly matches your skin tone. When you’re buying foundation, avoid matching with your face and neck. Those parts of your skin are much lighter than the rest of your body because of the lack of sunlight exposure. Instead, match your foundation with your chest. Dab some foundation samples onto your chest and then choose whichever blends the best with your skin. Whether you’re going for a natural everyday look or a full-faced look, a little foundation goes a long way. For the natural look, you don’t have to apply to your entire face, just the parts that you feel like need the product to match with the rest of your skin. Too much, and you might end up looking very cakey. If you have the right shade, you can limit the application to under your jawline. Never use your fingers to apply foundation or you may form streaks on your face. Personally, I’ve tried the Beauty Blender and it works best for me, but some would also prefer to use other sponges or brushes. Always pat your foundation on gently. Never rub it in, or you could create a patchy texture if you don’t have smooth and clear skin. Rubbing could exfoliate bumps and dead skin, which would mix into your foundation and leave you with a cakey texture once the foundation sets. If you feel like there’s too much foundation to pat around your face, you may have applied too much foundation and might want to consider applying less next time. What if You Have Problematic Skin? These are just the basics, but if you have problematic skin, basic application may not be enough. 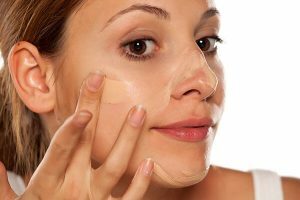 If you have oily skin, for example, try adding a thin layer of concealer on the oily area before applying foundation. Concealer can stick to oily areas more effectively than foundation. One problem you might notice that makes you put on more foundation are specific spots on your face that are noticeably discolored. Instead of applying more foundation to even out the color, use color-correcting makeup. After priming, use color correctors to turn your blemishes into neutral colors. I recommend using primer, but if you don’t and you have large pores, swirl the foundation into your pores using circular brush strokes. Foundation will enter your pores either way, so make it a smooth finish to help hide your pores when foundation sets. Just make sure you remove your makeup and cleanse at the end of the day to avoid pimples and other blemishes. How Often Should You Be Wearing Foundation? There’s nothing wrong with wanting to go full-face daily, but always give time to let your skin recover. It also helps your skin if you use foundations advertised as non-comedogenic, hypoallergenic, or mineral-based. Heavy makeup products don’t cause acne, but the way you remove and clean your face does. If you leave some foundation on your face for a long time, it could clog your pores and cause bacteria to grow. If you already have acne, avoid covering your blemishes with foundation because it could irritate your condition. Your acne needs air to heal, and foundation may worsen it. While it’s not always necessary to put foundation on, make sure you’re getting the most out of your product by applying just enough to enhance your beauty. Before and after you apply foundation, take care of your skin so that you feel confident to apply less foundation. Remember: when it comes to foundation, less is more.